Natural osmoregulatory substances (osmolytes) allow a wide variety of organisms to adjust to environments with high salt and/or low water content. In addition to their role in osmoregulation, some osmolytes protect proteins from denaturation and deactivation by, for example, elevated temperature and chaotropic compounds. A ubiquitous protein-stabilizing osmolyte is glycine betaine (N-trimethyl glycine). Its presence has been reported in bacteria, in particular cyanobacteria, in animals and in plants from higher plants to algae. 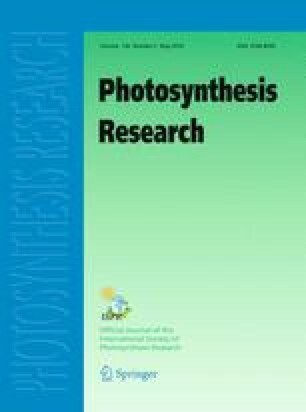 In the present review we describe the experimental evidence related to the ability of glycine betaine to enhance and stabilize the oxygen-evolving activity of the Photosystem II protein complexes of higher plants and cyanobacteria. The osmolyte protects the Photosystem II complex against dissociation of the regulatory extrinsic proteins (the 18 kD, 23 kD and 33 kD proteins of higher plants and the 9 kD protein of cyanobacteria) from the intrinsic components of the Photosystem II complex, and it also stabilizes the coordination of the Mn cluster to the protein cleft. By contrast, glycine betaine has no stabilizing effect on partial photosynthetic processes that do not involve the oxygen-evolving site of the Photosystem II complex. It is suggested that glycine betaine might act, in part, as a solute that is excluded from charged surface domains of proteins and also as a contact solute at hydrophobic surface domains.